To view this video, visit https://www.youtube.com/watch?v=t8OQ9Vsx21g. You solve problems every day, and not just in math class. You figure out what to wear, what to eat, and how to manage friendships. You can solve even bigger problems using critical and creative thinking. Watch this video to find out how. 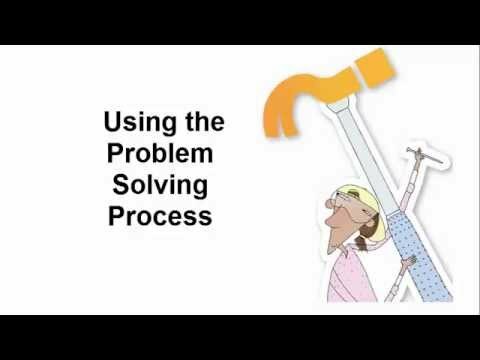 Your Turn Critically analyze a problem. Think of a problem that relates to something you are studying, or use this problem: Many people don't have enough to eat. Analyze the problem critically by writing down the causes and effects of it in a chart like this one. What results from this problem? Solving Problems Critically and Creatively by Thoughtful Learning is licensed under a Creative Commons Attribution-NonCommercial-ShareAlike 4.0 International License. Based on a work at k12.thoughtfullearning.com/minilesson/solving-problems-critically-and-creatively.